Index on Censorship is delighted to announce that its project to map media freedom in Europe has received renewed funding from the European Commission – one of just two projects selected. 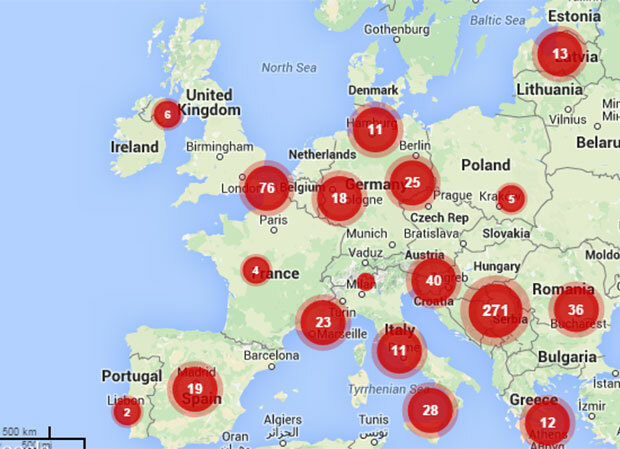 Mapping Media Freedom – launched as a pilot project in 2014 – records threats to media freedom throughout the European Union and EU candidate countries. In the last 12 months, more than 750 violations have been reported, including threats of violence, harassment, intimidation and legal penalties. The map includes threats faced by journalists and media groups at local as well as national and regional level, enabling policy makers and activists to identify trends in media freedom and to respond either with immediate assistance such as legal support, or to campaign on specific cases and issues. The new phase of the mapping project will be run in collaboration with the European Federation of Journalists and Reporters Without Borders.